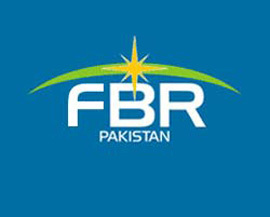 KARACHI: The Federal Board of Revenue (FBR) is making all-out efforts to collect revenue worth Rs2 trillion in 2012-13, which was revised downward several times and is below the target set for the fiscal year. Sources in the revenue body on Wednesday said that senior officials are holding meetings to devise strategy and to ensure the revised target of Rs2,050 billion, which was not officially announced as yet. The FBR had collected a provisional Rs1,508 billion in the first 10 months of the current fiscal year and it required another Rs542 billion in the remaining two months to reach the revised target of Rs2,050 billion. �Collecting Rs542 billion is still an uphill task, considering the slowdown in the economy due to the energy crisis and poor law and order situation,� a senior official said on the condition of anonymity. �On the basis of present revenue collection pattern, the FBR may reach Rs2,000 billion,� the official added. The revenue collection growth is 5.73 percent, as compared to July�April 2012-13 with the similar months of the last fiscal year when it had collected Rs1,426.19 billion. At the present growth rate, the revenue collection will stand at Rs1,990 billion by June 30, the official said. At the beginning of the current fiscal year, the FBR was assigned revenue collection target of Rs2,381 billion, which was 26.44 percent higher as compared to Rs1,883 billion collected during the last fiscal year. The target was fixed after analysing the previous year�s performance, in which 20.9 percent growth rate was achieved. Revenue shortfall at the start of the current fiscal year was predicted because the budget 2012-13 was announced, considering the general elections. Instead of taking new measures, the government had reduced the sales tax rate by one percent, besides facilitations announced in other revenue heads, the official said. Describing other reasons, the official said that the economy also not grew as per the expectations, while inflation was also in the single-digits, which always played a major role in consumption of tax, subsequently direct taxes. The State Bank of Pakistan (SBP) in its quarterly review on Pakistan economy for the period October�December 2012 also predicted fall in the revenue collection. �The FBR has recently revised down its target to Rs2,191 billion; however, achieving this target may also be challenging,� it said. In the beginning of 2013, the revenue body issued several statutory regulatory orders (SROs), revising the rates and procedures for boosting revenue collection but these efforts also resulted in failure to give rise. According to sources in the FBR, the recent meetings of senior officials discussed the possibilities of introducing waiver of penalties and additional charges next month, giving opportunities to the taxpayers to discharge their liabilities. Some officials also believed that another possible move for boosting revenue would be to pursue the amnesty scheme after the formation of the new government, which was not introduced by the previous government due to pressures, despite the fact that the Senate had approved it with certain changes. The officials said that lower revenue collection would be critical for the economy as the fiscal deficit would further inched up. In the last fiscal year, the fiscal deficit was around 8.5 percent.